Not only Tesla, Renault too switches to CCS Combo. 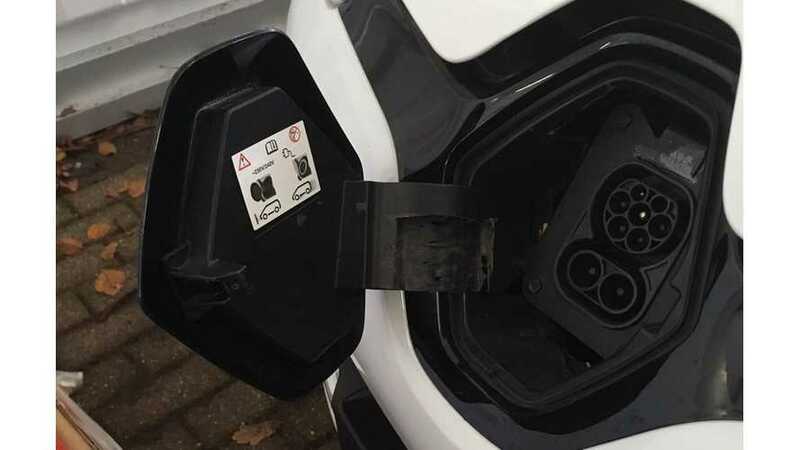 Roland van der Put, Head of Network Technology at Fastned, shared an image of a prototype of the Renault ZOE with a CCS Combo charging inlet for DC fast charging and AC normal charging. The new ZOE, together with other upcoming models like the Porsche Taycan, Tesla Model 3, Mercedes EQC, Audi e-tron, BMW i3 and more were tested at a symposium on November 15 in Arnhem, Netherlands. "I am at the testing symposium in Arnhem today. I feel like I’m in a candy store with all cars and chargers being tested with CCS chargers: Porsche Taycan, Tesla Model 3, Mercedes EQC, Renault Zoe, Audi e-tron, BMW i3 and many more! ?" Earlier, Tesla announced that the Tesla Model 3 will be equipped with CCS Combo inlet and Superchargers will be retrofitted with DC Combo plugs. The next-generation ZOE is expected to still maintain the 22 kW AC charging through its Type 2 plug (3-phase), but thanks to DC the charging time during long-distance travel should decrease significantly.